On December 16 the personal exhibit of Normunds Brūveris “Famous Chillie Willie in Riga” was open at kim?. 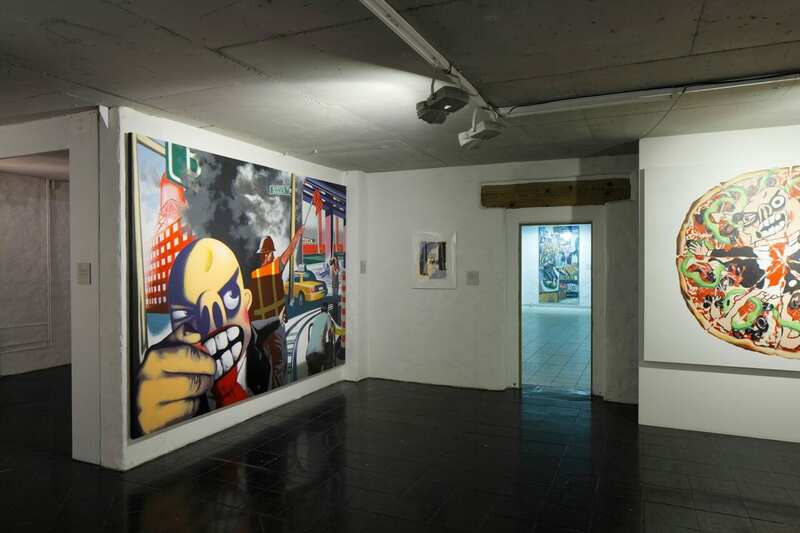 The displayed paintings and collages have been created in the course of 10 years, since 2002, and they were on view in Latvia for the very first time. The exhibition was held until January 29. 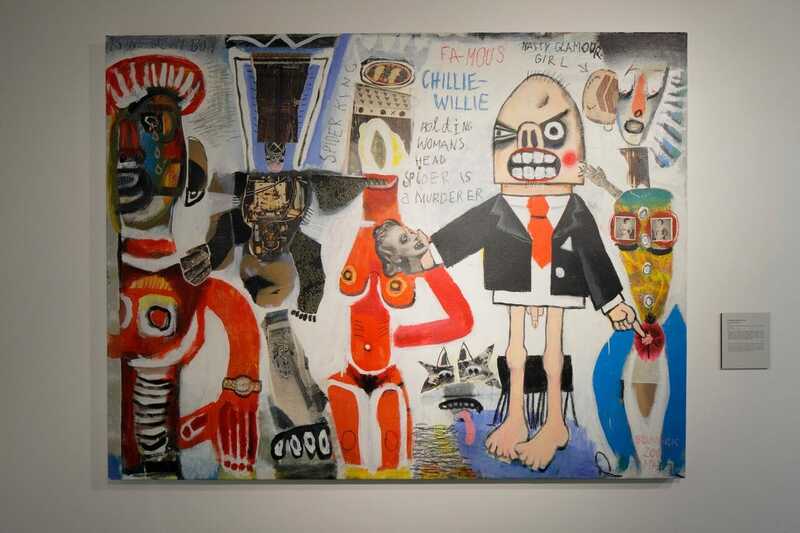 Famous Chillie Willie appeared in Normunds Brūveris’s works in April 2002 when he was living in the artists’ community building in Jersey City, NJ. There he found a piece of cardboard with a poem written on it about “Chillie Willie chilling out.” Brūveris took that board to his studio and the next day a strange and comical character, Famous Chillie Willie, was born. “With this spark I lit a fire. Chillie Willie became a reflection of all humanity. The involvement of this bizarre character in my paintings allowed me to truly show life, its meaning and our needs,” – says the artist. After Brūveris moved to the USA and along with Famous Chillie Willie, the artist’s paintings changed in their structure, composition and artistic means of expression, as we recall them in his works in the late 90’s, preserving only their painterly mastery and the characteristically large dimensions. Yet, specially for the exhibition in Riga various works of smaller scale have been created. Chilly Willy is a very well-known character in American culture – a cartoon hero. Chilly Willy, a naive and good-natured penguin living in Alaska, was created by artist Paul Smith for the Walter Lanz studio in 1953. Until 1970, this character often earned the title of the country’s most popular cartoon hero. One of the prototypes and sources of inspiration for the character was possibly the American film actor Chill Wills. However, in Bruveris’s paintings, Chillie Willie transforms and becomes a specific embodiment of the turn of the 20th century archetype. He does everything like a normal human being – he eats, drinks and loves, he sometimes meets famous people and in general shows us his world that exists parallel to ours. It is an excellent illustration of the fragmented perception of our times, where our eyes flit right and left in the attempt to follow everything that stimulates us. We find many parallels with the real life in Brūveris’s works. Here we can trace events in the author’s personal life, current socio-political issues, as well as references to the work of other artists and cultural events. One of such examples is the painting “Pope Famous Chillie Willie Innocent XIII” (2004) that kindles to remember chefs-d’oeuvres of Velázquez, Titian and Raphael along with the crashing masterpiece by Francis Bacon, “Study after Velázquez’s Portrait of Pope Innocent X” (1953). There is quite a lot of cruelty in Bruveris’s works that is only superficially softened by the brightness of the colours and the comical image of the main character. His works are like children’s colour cartoon films in which unbelievably cruel things take place. This inevitably leads us to refer to the “Theatre of Cruelty” of the early 20th century French poet, playwright and director Antonin Artaud. He thought that this was necessary in order to reawaken audiences and to break down the barrier between a “man for himself” and a “man for others”. The director’s approach Brūveris employs to form his stories is complemented by artistic means of expression and techniques used to construct the works. Thus the passion in the subject of the painting is often accompanied by an inner tension between the materials where the interventions of other materials serve to stir up the surface of the work, create an extra spatial dimension and sometimes offer other – self-sufficient information. Looking at the parts where there has been a particularly complicated technical execution, the sense of lightness offered to the viewer is very surprising. 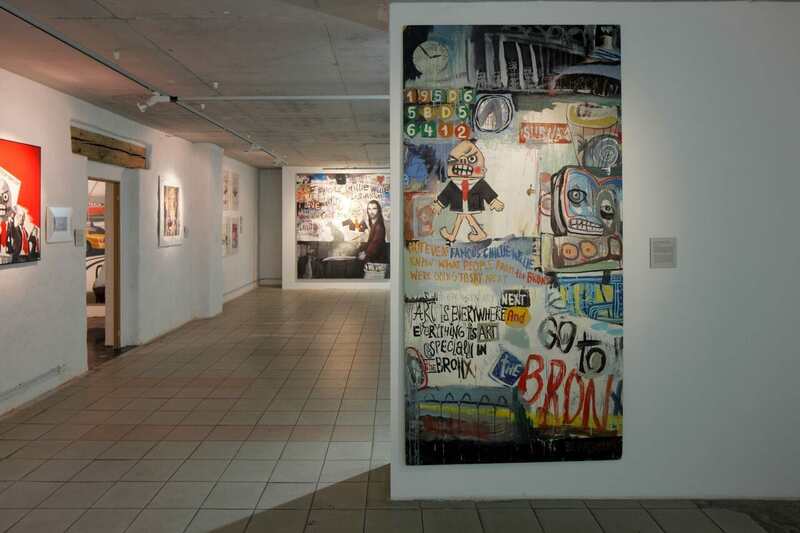 Different forms of expression exist side by side here – from the stylistic of realism to art brut. The most multi-layered works are filled with scribbled texts, scraps of appliqué and cartoon-like drawings, and along with spontaneity, form a complex arrangement. This also largely determines the openness of Brūveris’s works to interpretation, which, in addition to the previously described meta-narrative, removes any ties between the works and past events. This is precisely why the curator of the exhibition Ieva Kulakova invited writer Edmunds Frīdvalds to supplement the 41 work in the Riga exhibition with stories about the life of Chillie Willie, to completely derail the viewers and give them the chance to make up their own story. 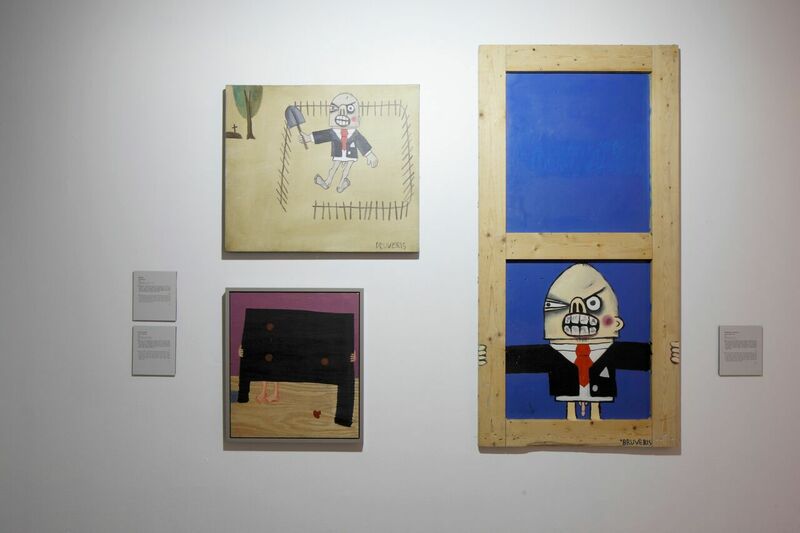 The exhibition “Famous Chillie Willie in Riga” is complemented by a catalogue. The publication has a print run of 50 copies and it will be available electronically. The catalogue was created by artist Ernests Kļaviņš and includes texts by Antonin Artaud, Normunds Brūveris, Edmunds Frīdvalds and Ieva Kulakova. Normunds Brūveris was born in 1971, in Aizpute, Latvia. He was educated at the Liepāja Secondary School of Applied Art and has graduated from the Latvian Academy of Art, Department of Painting, where he attended the workshop of monumental painting lead by professors Kaspars Zariņš and Aleksejs Naumovs. At the end of 2000 he moved to the USA, where he currently lives in Jersey City, New Jersey. In the spring of 2002 he accidentally came across the image of Famous Chillie Willie and since then he has been using it in paintings of various formats, giving rise to both laughter and tears. Normunds Brūveris mainly works in oil and acrylic on canvas, plywood, planks and paper. He has also produced works in stone, sand and on the walls of houses.